This New Zealand native-inspired macadamia crumb goes perfectly with any seafood such as fresh salmon or sprinkled on scallops. This New Zealand native-inspired macadamia crumb goes perfectly with any seafood such as fresh salmon or sprinkled on scallops. It is also great on a lamb rack, lamb steaks, chicken, or to flavour up a casserole. 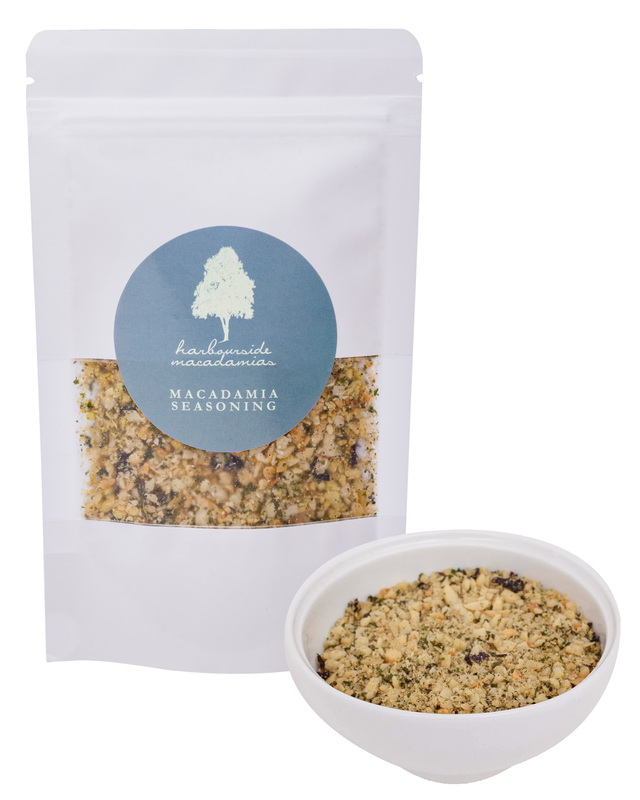 A delightful blend of macadamias including kawakawa, karengo and horopito. It’s a perfect match to add that wow factor to any seafood or chicken dish.